Choosing a college may be one of the most important life decisions you will ever make. It takes great time and consideration to find the school that best fits your needs, and there are many things to consider. What kind of campus environment are you looking for? Do you want to live at home and commute, or stay on campus in a dormitory? What coursework strengths do you want? What can a prospective college offer in terms of career counseling and placement? Do you prefer a large university, a small private college or something in-between? To assist you in making this meaningful choice, our college guide profiles some of the outstanding higher education options available in the Old Northwest Territory. Perched on bluffs in Dubuque, Iowa, Loras College is dedicated to providing students with a rich and engaging liberal arts education. 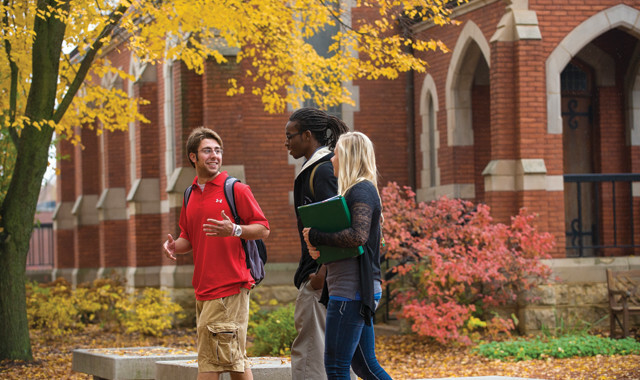 Leveraging its historic roots as Iowa’s first college and the second-oldest Catholic college west of the Mississippi River, Loras delivers challenging, life-changing experiences in a supportive, residential Catholic setting. With nearly 40 undergraduate majors and 12 pre-professional programs, Loras College has the resources to help students succeed. More than 95.9 percent of the Loras Class of 2014 were employed or continuing their education within one year of graduation. With small, interactive classes, students have the opportunity to engage in meaningful discussions with professors and their classmates. They also receive the benefit of technology in the classroom – such as the Media Studies Lab or the on-site DNA Lab – and academic resources such as the Writing Center, Math Assistance Program and Supplementary Instruction Program. Most Loras students study abroad, participate in service opportunities or take advantage of work internships. In fact, 56 percent of Loras’ 2014 graduating seniors completed credited internships coordinated through the college. Student service is a point of pride at the college, and has earned Loras a place on the President’s Higher Education Community Service Honor Roll since 2008, receiving a “with distinction” notation since 2009. Loras College was the first in the nation to receive the President’s Award for Interfaith Community Service, the highest federal honor a higher education institution can receive for its commitment to community service and interfaith efforts. Students rally behind Dewey the Duhawk, who stands proudly as the Loras College mascot. Dewey supports the 23 varsity sports offered to student-athletes, who compete in the NCAA Division III and Iowa Intercollegiate Athletic Conference. Loras is proud of its top-notch athletic facilities, including the Rock Bowl Stadium and multi-level Athletic and Wellness Center. As a student-athlete at Loras, you can enjoy a well-rounded experience that balances challenging academics and competitive athletics – preparing you for victory on and off the field. With more than 70 clubs and organizations, the Loras College campus is overflowing with co-curricular opportunities. From academic organizations to special-interest groups and student government, students can immerse themselves in activities they love while making lifelong friends along the way. University of Wisconsin-Rock County is a liberal arts transfer campus that has been providing students with solid foundations for academic success and educational and personal growth since 1966. It is an institution of the University of Wisconsin (UW) System, which maintains 13 two-year liberal arts transfer campuses located throughout Wisconsin. At UW-Rock County, students can prepare for, or fulfill general education requirements in, more than 200 majors, and be guaranteed transfer to any of the UW System’s 13 four year schools, including UW-Madison, UW-Milwaukee and UW-Whitewater. 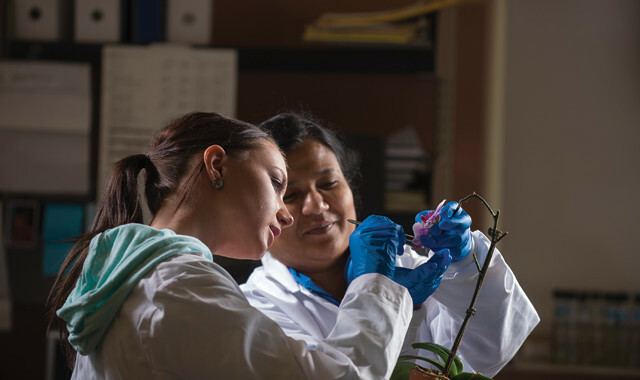 In addition, UW-Rock County offers an Associate of Arts and Science degree and more than 20 associate degree emphases, including computer science, engineering, pre-nursing and health science. Accredited by the Higher Learning Commission, UW-Rock County offers all of the benefits of larger colleges, while providing the close-knit community atmosphere of smaller institutions. Set on 50 rolling acres just blocks from the beautiful Rock River, its Janesville campus includes a fine arts center, a state-of-the-art engineering center, computer labs, sciences labs, a new library, a student help center, a bookstore and a commons area. Students learn from a committed and accessible faculty, 96 percent of whom hold terminal degrees in their fields. Students also benefit from small class sizes that allow for individual attention. UW-Rock County students are well-prepared to transfer into the new Bachelor of Applied Arts & Sciences degree completion program or to transfer into other institutions. Other colleges and universities in Wisconsin and throughout the country will accept credits earned here. UW-Rock County graduates have the highest graduation rate among all transfer students at UW institutions. As part of the Wisconsin Collegiate Conference, UW-Rock County student athletes compete in men’s basketball, women’s basketball, women’s volleyball, co-ed soccer, co-ed tennis and fencing club. Campus government and dozens of clubs allow students to develop socialization and leadership skills while pursuing personal interests. Phi Theta Kappa and Sigma Kappa Delta honor societies have campus branches. The UW-Rock County Foundation gives out dozens of scholarships to UW-Rock County students totaling more than $60,000.UW-Rock County employs work-study students in various areas of the campus, like the library and Student Services. UW-Rock County is also a welcoming place for adult students and veterans returning to school, who have a dedicated advisor and extracurricular clubs. The Continuing Education Office offers non-credit courses, trips and individualized and custom-made tutorials and training courses for workers and employers in the region. Since 1857, Upper Iowa University has been preparing students to succeed – in the classroom and in the world. That rich history, coupled with a student-centered mission, has created a springboard for Upper Iowa University to become a recognized innovator in offering accredited, quality programs through multiple flexible delivery systems, including face-to-face, online and self-paced study. The Upper Iowa University Center in Rockford, which opened in 2008, has a current enrollment of approximately 150 students. The 13,000-square-foot building includes eight classrooms and a cutting-edge computer lab. Courses, held primarily in the evening, are offered during six eight-week terms, and taught by instructors who bring practical work experience to the classroom. Upper Iowa University opened the Blackhawk Center at Blackhawk Technical College, in Janesville, in 1994; it serves about 250 students. Courses here are also offered during six eight-week terms and held in the evening. Full-time Upper Iowa University faculty members teach many classes, as well as adjunct faculty who draw on their practical experiences in the field. The Upper Iowa University Center for Distance Education offers online courses for associate’s, bachelor’s and master’s degrees, as well as post-graduate certificates. Its online undergraduate bachelor’s program has been ranked among the “Best in the Midwest” by U.S. News & World Report, which also ranked its online MBA program among the top 100 for 2015. Further, its online MBA has been recognized as a best value by GetEducated.com, and Upper Iowa University has been named a top military-friendly school by Military Advanced Education for the seventh consecutive year. Upper Iowa University works with students to keep their college educations affordable. Students are encouraged to contact the financial aid department, where counselors will assist them in looking for any possible means of financial assistance. Whether at its traditional campus in Fayette, Iowa, or one of its 20 educational centers in the U.S., students will find a professional faculty and staff that care about their success and work hard to provide the education they desire. Since 1852, University of Dubuque has been providing students with an educational foundation for future success. With a seasoned faculty whose members average 10 to 20 years of experience, the university aids students in developing critical thinking abilities that serve them long after graduation. Students can select from 40 programs that emphasize hands-on classroom learning reinforced with real-life experience. Small class sizes allow individual attention and guidance. In addition, the university’s Career Resources Center is dedicated to helping students explore their options and enter professional positions after graduation. 1. 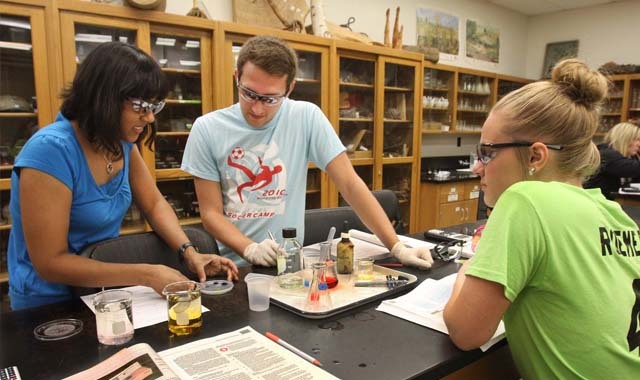 Holistic: The University of Dubuque intentionally designs and implements programming to promote learning in academics, community and character, stewardship and vocation. 2. Formational: The University extensively addresses both academic and co-curricular learning. Academic Affairs and Student Life work seamlessly together to enhance student growth, while faculty and staff are provided with opportunities for professional development. 3. Caringly Intrusive: The staff provides direct and candid communication about expectations. 4. Assessed: The University regularly gathers qualitative and quantitative data, and uses that information to continually improve programming. In addition to academics, students have the opportunity to participate in a variety of Division II sports through the Iowa Intercollegiate Athletic Conference (IIAC). Men’s sports are baseball, basketball, cheer and stunt, cross country, football, golf, lacrosse, soccer, tennis, track and field, and wrestling; Women’s sports are basketball, cheer and stunt, cross country, golf, lacrosse, soccer, softball, tennis, track and field, and volleyball. Beyond athletics, there are more than 65 student organizations in fine and performing arts, Greek life, governance, departmental organizations and special-interest organizations. Students also have the opportunity to participate in study abroad, service learning and work-study programs, all of which challenge students to embrace lifelong learning in and out of the classroom. The University’s Career Services works with each student in developing a comprehensive four-year checklist that, in their third year, identifies and incorporates field experiences and internships into their resume. Although change is constant, University of Dubuque prepares students to thrive in the changing world. Rasmussen College is a regionally accredited private college with 23 campuses across the Midwest and Florida, including four campuses in Illinois: Rockford, Romeoville/Joliet, Mokena/Tinley Park and Aurora/Naperville. More than 14,000 students are enrolled in total. Founded in 1900, with the Rockford campus opening in 2006, Rasmussen strives to: provide education for growing careers; impact lives both inside and outside the classroom; and remain dedicated to the growth and development of its students, employees and the communities it serves. Rasmussen College offers bachelor’s degrees, associate’s degrees, certificates and diplomas in more than 50 programs, including business, justice studies, technology, design, education, nursing and health sciences. It’s committed to helping students gain the practical and relevant skills they need for career success, as well as providing flexible and affordable learning options. One example is Flex Choice, a learning option that allows students to take self-paced, competency-based courses alongside their faculty-led courses at no additional cost. Rasmussen College also provides a classroom experience that includes employer-based internship/externship opportunities, hands-on learning delivered through average class sizes of 20 students, industry-experienced faculty with real-world insight, and new, technologically advanced learning platforms. Rasmussen College is committed to providing strong support services that go above and beyond traditional offerings. This includes one-on-one support with a student advisor, free tutoring, and access to hundreds of thousands of free digital resources, such as e-textbooks, scholarly articles and videos. Once students are ready to graduate, the college works closely to connect them with local employers that are hiring. A career services department is available to all students, and free career fairs for students and alumni are held twice a year. As it prepares students for professional success, Rasmussen College instills in them the knowledge and skills they need to better their lives and have a profound influence in their communities. This is what defines Rasmussen College as a Public Benefit Corporation. The College focuses on connecting its students to local employers and expanding community initiatives through business partnerships, workforce insights and service opportunities for its employees. 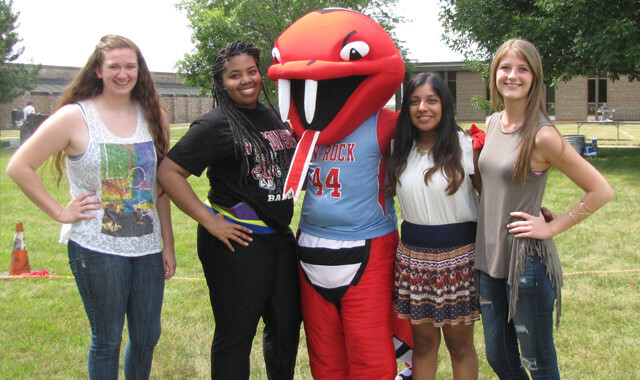 In 2014, Rasmussen College helped graduates fill more than 2,000 jobs in communities including Rockford, and its students have invested more than 10,000 hours of community service. 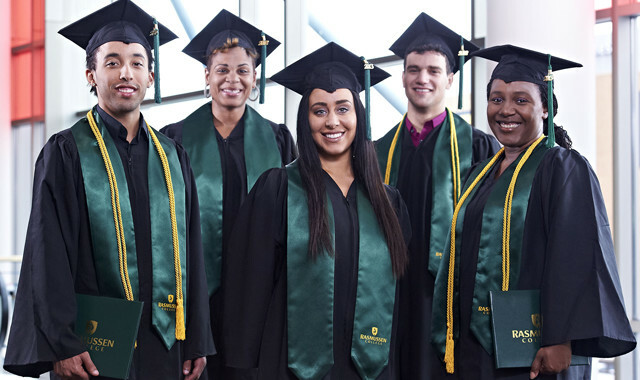 Since 1962, Highland Community College has been committed to providing a quality education. This community college’s mission is focused on meeting the needs of the greater northwest Illinois community, including Stephenson County, Jo Daviess County, Carroll County and the northwest corner of Ogle County. In addition to its comprehensive academic programs, Highland offers enriching cultural opportunities through theatre, arts, music, literature and lectures. Students can select from more than 60 associate degrees and certificates in areas such as accounting, chemistry, engineering, English, early childhood education, nursing and more. Class sizes average 18 students, which means that individuals receive plenty of personal attention and encouragement. Three new programs are being offered for the first time this fall: criminal justice, hospitality management and mass communication. The criminal justice program prepares students for entry-level jobs in law enforcement, corrections, probation and parole, or the smooth transfer to a criminal justice program at a four-year college or university. The hospitality management program molds students who wish to pursue a career in a hotel or related service industry. Highland’s program, created in partnership with the Swift Hospitality Group, prepares students to work as sales coordinators, food and beverage managers, front-desk managers and more. The mass communication program emphasizes public relations and marketing, multimedia journalism and multimedia production. Students who complete this program are prepared to transfer to a four-year college or university with enhanced creativity and communication skills. Highland is accredited by the Higher Learning Commission and is a member of the North Central Association’s Academic Quality Improvement Program. Located in Freeport, Highland is conveniently positioned in the tri-state region, with access to several major metropolitan areas. Students have the opportunity to participate in a variety of sports through the NJCAA Region IV athletic conference. Men can play basketball, baseball, bowling and golf, while women can participate in basketball, softball, bowling and volleyball. Students can also engage with the community through an extensive amount of clubs and organizations including agriculture club, art club, Black Student Alliance, Current Issues Club, dance team, equine club, international club, pride club and more. Students can also take advantage of Highland’s Success Center, which is committed to promoting academic success. The Center provides tutoring, courses in developmental communication skills, a seminar on the first-year experience and support for students with disabilities. For those interested in pursuing a higher education here, Highland encourages taking a stroll through campus and witnessing day-to-day activities and events. Find out how your degree from Highland Community College is a valuable resource for northwest Illinois. Blackhawk Technical College (BTC) is a learning community in which students, faculty and staff all contribute to and celebrate the success of others. Students across five campuses in southern Wisconsin are challenged and inspired by programs that extend beyond the classroom. Founded in 1912, the college and its students have spent more than a century creating solutions to some of the world’s toughest problems: from alternative energy and the skills gap to rebuilding southern Wisconsin. Blackhawk’s, associate degree, technical diploma and certification programs prepare students with real-world skills demanded by today’s employers. With more than 50 programs, Blackhawk provides opportunities to study advanced manufacturing, health sciences, buisness management, protective services, community education, business training and more. Classes are small and friendly, with an average of 15 students in each room. Instructors have, on average, 16 years of experience in their respective fields. This unique level of personal interaction and engagement is a signature characteristic of a Blackhawk education. The college similarly places a high value on building important life skills such as leadership, communications, team building, problem solving and respect for diversity. A higher education is an investment that pays dividends for a lifetime, and the tuition cost at Blackhawk is one of the lowest in the state. The college offers a variety of financial aid programs, payment plans, grants and scholarships that help to make tuition more affordable. While many students choose a traditional education, Blackhawk remains flexible to a student’s needs, with many online courses, evening and Saturday classes, and dual credit opportunities available. More than 13 student clubs and organizations add to a student’s experience, with choices like Auto/Diesel Club, Business Professionals of America and Student Government Association that can enhance students’ experiences and skills outside the classroom. The Blackhawk Career and Professional Development office does its part to help students and alumni to sharpen the professional skills that give them an edge in today’s competitive job market. With mock interviews, job-search workshops, resume writing instruction and job shadowing experiences, the career center provides essential tools even after students have graduated. Students can also take advantage of the Student Success Center, which provides support, services and resources to help with degree completion. The center additionally connects students and alumni with employers. The Blackhawk mission is to enable students to explore, innovate and achieve their potential. Beyond a degree, students receive individualized training and hands-on experience. As a result, Blackhawk students are prepared for a successful future. Rockford University, nestled on 150 park-like acres in the heart of Rockford, marks its 168th year in 2015. 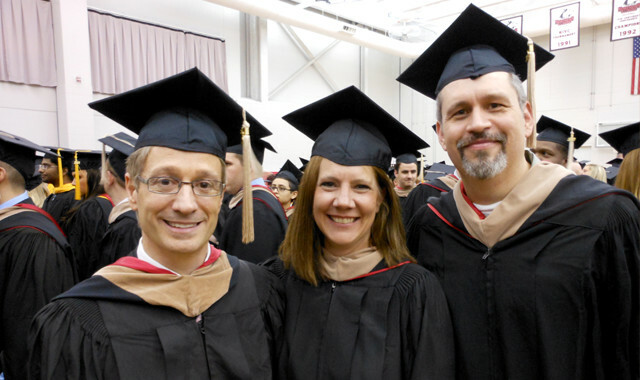 It’s the only private liberal arts institution in the Rock River Valley, and the only college in the Rockford area to offer a campus-based accredited MBA degree and a Master of Arts in Teaching. The philosophy at Rockford University is that a liberal arts education prepares students not only for a solid career but also for a journey of lifelong learning. Its distinctive degrees and programs are grounded in liberal arts learning and complemented by professional and practical experience. 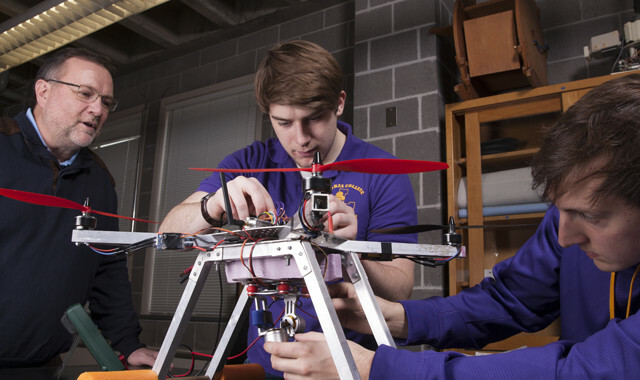 An education from Rockford University involves challenging and interdisciplinary coursework both inside and outside the classroom. Its students develop critical thinking skills, intellectual curiosity and self-guidance, in order to live within and adapt to a changing, global society. Faculty members, most holding the highest degrees in their disciplines, show a commitment to the individual through their expertise and caring nature. Rockford University offers more than 80 majors, minors and concentrations, and students can pursue bachelor’s and master’s degrees, along with various licensure and endorsement tracks through the Master of Arts in Teaching program. Student/faculty research is an important component of the learning environment, and one-on-one learning opportunities abound. The Princeton Review named Rockford University a “College with a Conscience” in 2005, and for 11 years running, a “Best in the Midwest” college. For five consecutive years, it has been named to the President’s Higher Education Community Service Honor Roll, and it is one of just 11 colleges in Illinois – and 283 in the country – with a Phi Beta Kappa chapter. Rockford University offers its students many other opportunities to gain knowledge and experience. As part of NCAA Division III, the Rockford Regents compete in 13 men’s and women’s varsity sports. Many social and academic clubs and organizations are offered, along with intramural sports. Each year, the Forum Series presents a variety of thought-provoking speakers, events and performances. The Jane Addams Center for Civic Engagement provides many service-learning options, and the Alan Hutchcroft Alternative Spring Break allows students and faculty to spend their spring break taking part in Habitat for Humanity projects. All such moments open students’ minds to understanding different and complex perspectives, thus ultimately broadening their horizons. 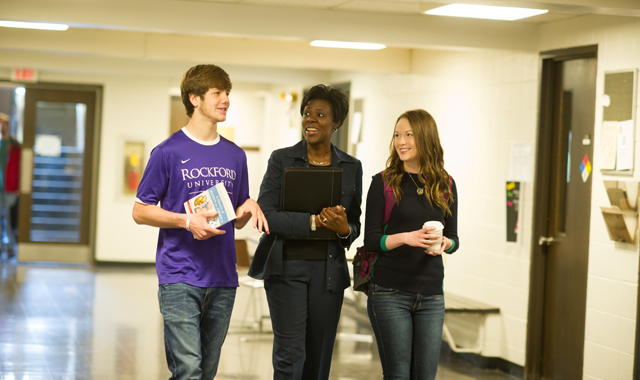 The learning expectations of students – knowledge for understanding the world, values for envisioning the world, and skills for shaping the world – guide the purpose of Rockford University’s academic programs. Thus, the Rockford University experience leads to a life of active learning, personal development, professional growth and informed citizenship. Rockford University alumni are exemplary leaders and shapers of their communities. Among its graduates are chiefs of police, captains of industry, champions of justice, Teachers of the Year, doctors who tested the first artificial heart valve in humans, scientists who invented fiber optics and LEDs, the current president of a national television network, and Nobel Peace Prize laureate Jane Addams. The legacy of Rockford University can be found in nearly two centuries of graduates and more than 16,000 current alumni, taking lessons learned here out into the world. This entry was posted on Friday, October 30th, 2015 at 12:00 pm	and is filed under Mind & Spirit, Top Posts. You can follow any responses to this entry through the RSS 2.0 feed. Both comments and pings are currently closed.